The Graduate Program in Mechanical Engineering (POSMEC) has as mission to prepare qualified human resources in different areas of engineering that can contribute to the scientific and technological development of society, working on both the productive and academic sectors. 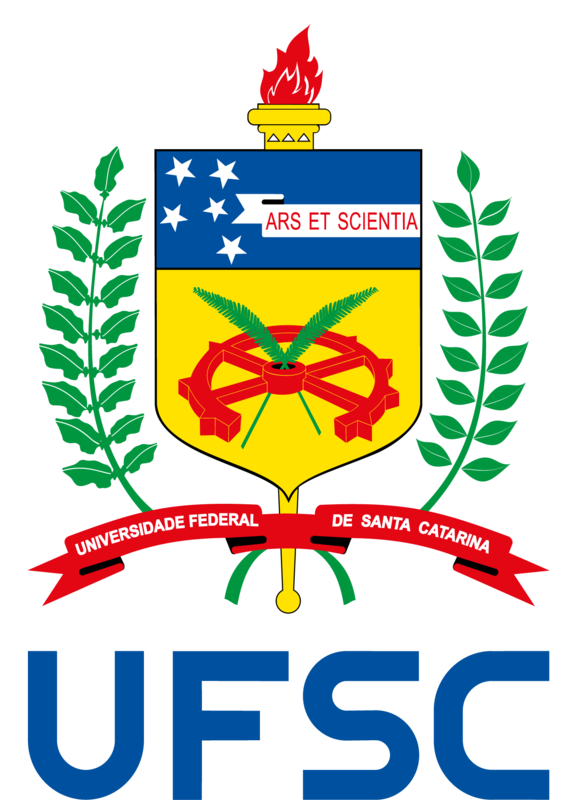 The Graduate Program in Mechanical Engineering was started in the Universidade Federal de Santa Catarina in 1969, at first with the master’s degree level and, starting from 1981, also in a doctoral degree level. Until April 2017, POSMEC has graduated 3404 doctoral students and 1371 master’s students in Mechanical Engineering. The program is continually growing over the years, now counting on a faculty that has over 50 members holding a doctoral degree, graduated from the best national and international institutions, distributed in 20 laboratories and acting in 6 major areas of concentration. Over its history, POSMEC has received support from different funding institutions for research and graduate education. Many of our labs keep cooperation agreements with the greatest research and industrial centers in Brazil and abroad. This kind of partnership allows constant updating of equipment and a productive technical and scientific exchange. 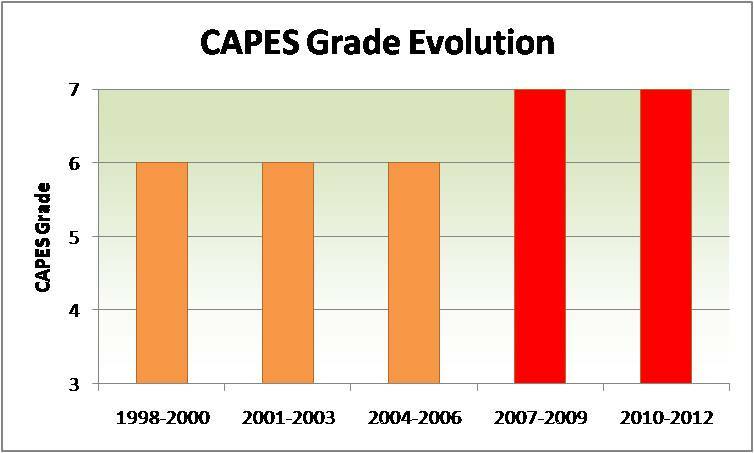 At the two most recent evaluations by CAPES, the program reached grade 7, the maximum score, being among the best and most productive Mechanical Engineering graduate programs in the country. The Analysis and Mechanical Project area covers the development and use of mechanical simulation tools needed for the design and verification of mechanical systems. The growing interest in energy, especially over the last century, has justified many researches and the qualification of human resources in energy use, transfer and conversion from one form to another. The Thermal Sciences and Engineering area, gathering the knowledge of thermodynamics, fluid mechanics, heat transfer and its applications, has been dedicated to the interpretation of the physical phenomena involved, the proposition of mathematical models that describe them, and the development of methods that allow the solution of fundamental and applied problems, both in the industrial and academic sectors. The production of goods, as one of the pillars of contemporary development, has been attracting the attention of researchers and professionals from different areas, because of its undeniable multidisciplinary characteristics. The skills of mechanical engineers, electronics engineers, electricians and computer professionals are required in the integration of the manufacturing processes and the adequacy of the productive structure for its purposes, optimizing time and resources, and using the latest fabrication technologies. The research and work done in this area spread out over different domains such as welding processes, production management, machining technology, forming, fabrication of injected components, hardware development, processes automation, among many others. Márcio Celso Fredel, Dr. Ing. Development, evaluation and application of measurement systems. Quality assurance of products, processes and services. Protection of the consumer and the environment. Scientific, technological and innovation research. Technical, higher and graduate education. Pursuing studies in the Metrology and Instrumentation area involves attending courses, developing a dissertation or thesis, and doing management training. Courses are designed to provide students with the necessary technical, in-depth foundation in metrology. The dissertation or thesis work implicates on the methodological solution of a concrete metrology problem, usually associated with a subject of great interest to a sponsoring company. The management training is an additional component achieved through complementary activities that involve the ability to work in groups, subdivide and plan work, conduct meetings, and express oneself clearly in speaking and writing. The Metrology and Instrumentation concentration area has its own website, which has a lot of additional information about the area. Visit us on www.labmetro.ufsc.br/posgraduacao. Management of Metrology: Assurance of laboratory and industrial metrological reliability. Means and Methods of Measurement: conception, development, evaluation, and application of innovative, efficient and reliable measuring instruments. Supervisor: Armando Albertazzi Gonçalves Jr. The methods and processes for the development of high quality products in a fast and low-cost way are the main concerns in this area of concentration. The theoretical upgrowth serve as a basis for the improvement of several tools to support design activity, which are used in the development of various products, especially in the form of machines and implements, always keeping a strong commitment to the qualification of human resources and to the advancement of scientific and technological knowledge. FT Master’s students must maintain an average study load of not less than forty (40) hours per week of exclusive dedication to the activities related to the program, both at the stage in which they are attending the courses and during the development of their thesis. The scholarships available and administered by POSMEC are allocated to new students in rank order, respecting the quota approved by the Program’s Council for each area of concentration. Item 10 must be sent directly to POSMEC by the informant. The other documents must be posted and sent to POSMEC office at the address provided below or hand delivered. Master students who cannot afford to dedicate at least 40 hours per week to the program are considered part-time (PT) students to POSMEC. This group is usually formed by professionals that work in companies or other organizations and pursue their degree in parallel, at the pace at which it is possible. To create conditions that allow the development of high quality theses within the statutory deadlines, since July 2014 the conditions of admission in the POSMEC Master’s program in a PT regime were modified by the following resolution: Resolucao_Dedicacao_Exclusiva_Parcial (03-POSMEC-2014). Have the consent of an accredited faculty member of POSMEC stating his/her willingness to be the thesis supervisor. The courses must have been attended by the applicant prior to the application, through single course enrollment. The deadline for validating courses previously taken is 10 years. The selection committee shall decide how many and which courses can be validated based on their relation with the thesis topic, the quality of the institution in which the courses were taken, and the grades obtained. Courses attended by former students who were previously terminated from the program due to lapse of time or insufficient performance cannot be validated. If the set of courses validated does not meet the above conditions, the applicant will be disqualified. The Master’s Thesis Project must be ready at the moment of the application. For this, the previous dialogue with the professor who is willing to advise the Master’s student is required. The selection process has two stages. At first, the applicants are evaluated by the selection committee of the intended concentration area. Several aspects are considered in the evaluation, including the undergraduate transcript, additional courses taken as single courses, CV analysis, reference letters, academic and professional experience, knowledge of foreign languages, etc. Applicants selected in the first stage are required to present their Master’s Thesis Project orally before an examining committee appointed by POSMEC. This must be done within the deadline established in the Call for Applications. If approved in this second stage, the applicant will be qualified to register as a regular student at the beginning of the next academic term. Starting from the date of registration, the student will have a maximum of two years to complete and defend the thesis. Statement of consent from an accredited faculty member of POSMEC indicating willingness to be the thesis supervisor. Two reference letter (Reference Form). In addition to the above documentation, the foreign applicants must send the copy of the undergraduate diploma with the consular seal of the Brazilian Embassy in the country of origin; copy of the passport data page; and copy of the RNE (identity card for foreigners). Item 13 must be sent directly to POSMEC by the informant. The other documents must be posted and sent to POSMEC’ office at the address provided below or hand delivered. There are two modes of study for pursuing a doctoral degree in POSMEC: Full-Time (FT) and Part-Time (PT). FT doctoral students must maintain an average study load of not less than forty (40) hours per week of exclusive dedication to the activities related to the program, either at the stage in which they are attending courses or during the development of their dissertation. Doctoral students who cannot afford to dedicate at least 40 hours per week to the program should pursue the degree as Part-Time (PT) students. FT Doctoral students must maintain an average study load of not less than forty (40) hours per week of exclusive dedication to the activities related to the program, both at the stage in which they are attending the courses and during the development of their dissertation. Doctoral students who cannot afford to dedicate at least 40 hours per week to the program are considered part-time (PT) students to POSMEC. This group is usually formed by professionals that work in companies or other organizations and pursue their degree in parallel, at the pace at which it is possible. To create conditions that allow the development of high quality dissertations within the statutory deadlines, since July 2014 the conditions of admission in the POSMEC program in a PT regime were modified by the following resolution: Resolucao_Dedicacao_Exclusiva_Parcial (03-POSMEC-2014). Show proficiency in English and in another foreign language. Foreign students also have to show proficiency in Portuguese. The courses must have been attended by the applicant prior to the admission, through single course enrollments. The selection committee can validate up to 24 credits corresponding to courses attended in the master’s program and to other courses in which the applicant has obtained a grade of A or B (or in an equivalent scale) and that are compatible with the desired concentration area. These together must result in a minimum of 36 credits. The deadline for validating courses previously taken is 10 years. The text of the Doctoral Qualifying Exam must be ready at the moment of the application. For this, the previous dialogue with the professor who is willing to advise the doctoral student is required. Application for admission in the doctoral program in a part-time regime can be done at any time of the year. The selection process has two stages. At first, the applicants are evaluated by a committee formed by faculty members of the intended concentration area. Several aspects are considered in the evaluation, including the undergraduate and graduate transcripts, additional courses taken as single courses, CV analysis, reference letters, R&D experience, copy of the Doctoral Qualifying Exam, etc. Applicants in the first stage are required to present their Doctoral Qualifying Exam (QE) orally before an examining committee appointed by POSMEC. 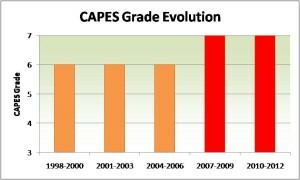 At this second stage, the defense must happen within 120 days from the date of publication of the first stage results. If approved in the QE defense, the applicant will be qualified to register as a regular student at the beginning of the next academic term. Starting from the date of registration, the will have a maximum period of four years to complete and defend the doctoral dissertation. Indicate the language of your choice (German, Spanish, French or Italian) to take the second proficiency exam. The item 15 must be sent directly to POSMEC by the informant. The other documents must be posted and sent to POSMEC office at the address provided below or hand delivered. For each applicant, a Selection Committee formed by three faculty members from the applicant’s area of interest is designated. The selection is made based on the documentation provided by the applicants in the application. The necessary documents and other information are described in the Resolution 36-CUn-2013 (Postdoctoral Research). In addition to submitting the documentation, the applicant must fill out the application form provided here and submit the proof of application along with the other documents to the Program’s office.